But in the UK there is a strong political argument against any policy that increases energy prices: energy poverty. Changes in household gas and electricity prices are reported in the national press. 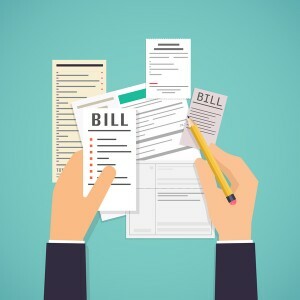 Any increase in electricity or gas prices, whether due to policy or otherwise, hits poorer households the hardest, as they spend a larger share of their incomes on basic energy needs. Problems of inequality are thus made worse. In summary, to meet long-term climate targets, the UK needs to increase energy prices, but at present it seems politically impossible to do so. Solutions are needed. One potential solution would be to use the revenues from the energy taxes to offer support to low-income households. Support could be offered by tinkering with the benefits system but we have seen many times (e.g. universal credit) how challenging this is. What about reducing the prices of other basic necessities that low-income groups spend on, for example food? The pdf below shows a very simple calculation for the UK, based on official data on incomes and expenditure shares. VAT on gas and electricity is raised from the current reduced rate of 5% to the standard rate of 20%. The additional revenues are used to reduce the prices of food in the shops (e.g. through reducing VAT charged on processed foods or through a subsidy that is applied to all food purchases). To keep things simple we assume that expenditure patterns remain unchanged. So does this leave poorer households better off? Unfortunately, no. 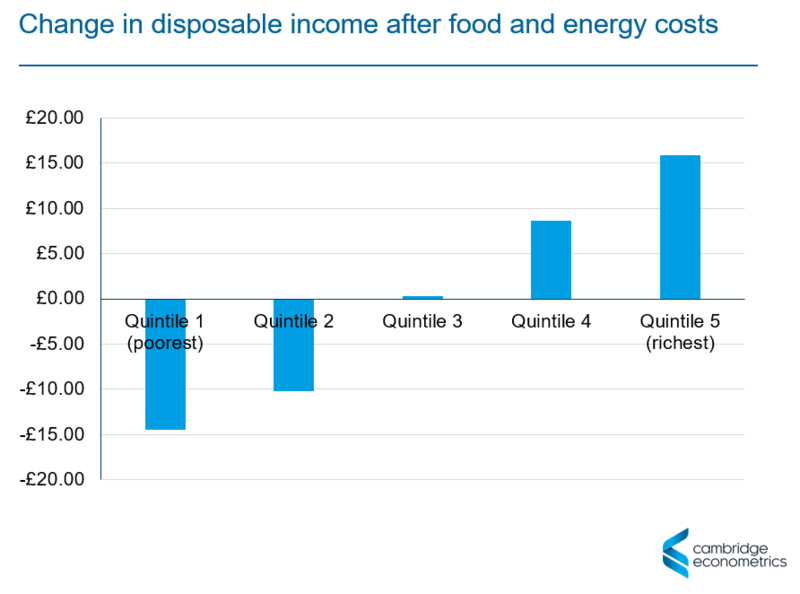 Although poorer households do spend a larger share of income on food than richer households, the difference is not as big as it is for energy. Or, to put another way, lower food prices benefit wealthier groups more than lower energy prices do. Overall, the lowest-income households would be worse off by around £15 a year. There could still be a modest environmental benefit; if energy prices increase by roughly 15%, a ballpark figure would put consumption of energy down by 3%; although food consumption and waste could increase. The policy would not help to reduce inequality though. From the ONS and Eurostat. Data are for 2010 – not very recent but the underlying patterns are unlikely to have changed.